US Olympic Trials Women’s 10,000 Preview: Molly Huddle, Then Who? One of the greatest events in track and field — the United States Olympic Team Trials — are upon us. 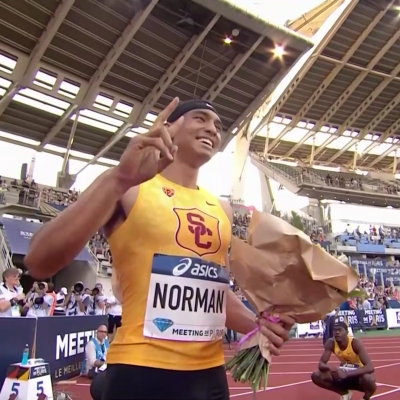 No domestic event holds more significance or produces more drama than this meet, which will be held at Hayward Field from July 1-10. LetsRun.com will have all hands on deck, providing wall-to-wall coverage from Eugene over the next two weeks. Below is our look at the first women’s final of the championships, the 10,000 meters, headlined by two of the top four finishers at last year’s World Championships — Emily Infeld and Molly Huddle. The final will take place unusually early — 11:04 a.m. local time on Saturday morning. But that may be a good thing. There’s only one session in Eugene on Saturday, and it concludes at 3 p.m. With a high of 81 degrees forecast, it’s better for the 10,000 final to be earlier in the session (remember, the 5,000 finals last year were moved to the morning at USAs last year, though temps were forecast to be in the mid-90s rather than 81). Additionally, the women’s 10,000 final in Rio will be run at almost the exact same time (11:10 a.m. local time) so this is good preparation. Before you read the preview, please make sure you enter our prediction contest: LRC $200,016 LRC Running Warehouse Trials Prediction Contest is Here! Emily Sisson New Balance 31:38.03 No Mark 5th at USAs last year. Ran an outdoor 5000 PB (15:24) at Boston Boost Games June 17th. Emily Infeld Nike BTC / Bowerman Track Club 31:38.71 No Mark Shock bronze medal at Worlds last year when Molly Huddle let up at the line. Hasn’t raced outdoors after stress fracture. Molly Huddle Saucony 31:39.20 No Mark Class of the field with a 30:47 PR. Should have medaled at Worlds last year if it wasn’t for a premature celebration. Kellyn Taylor HOKA ONE ONE NAZ Elite 31:40.70 31:40.70 Set PB at Payton Jordan in May. 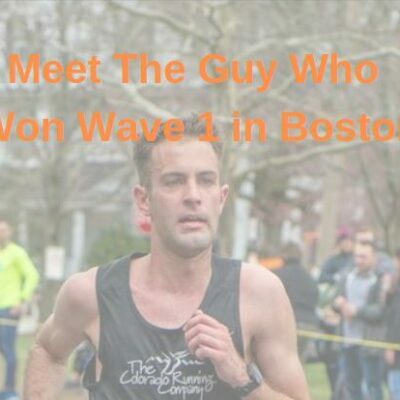 Hasn’t raced since May 20th when 3rd in Hoka One One 5K. Liz Costello New Balance / New Balance Boston 31:43.79 31:43.79 7th at USAs last year and 4th at Pan American Games. Alisha Williams adidas Rocky Mountain Elite 31:49.99 No Mark 11th at USAs and 5th at PAG in the 5K last year. 4th in 15:23 at Portland Track Festival June 12. Laura Thweatt Saucony / Boulder Track Club 31:52.94 31:52.94 2015 US XC champ and 2:28 marathoner at NYC steps back down to the track. Won Stanford Invy in April. 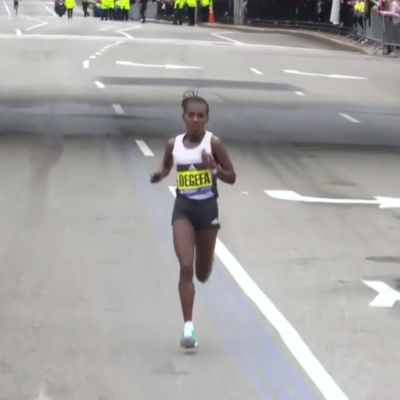 Aliphine Tuliamuk-Bolton 31:54.20 31:54.20 New US citizen has ran well on the roads this spring. Won US 25K Champs last month. Jordan Hasay Nike OP / Nike Oregon Project 31:58.33 31:58.33 Runner-up at USAs in 2013 and 2014, but missed 2015 with injury. Hasn’t been too far off her PBs (15:28 and 31:39) with 15:32 and 31:58 this outdoor season. Kim Conley New Balance 31:58.54 No Mark 2014 US champion and made 2013/2012 US teams in the 5000. Ran 15:10 at Pre; won her tune-up 5K on June 12th in 15:16. Alia Gray Roots Running Project 31:59.23 31:59.23 10th at USAs last year. Tara Erdmann-Welling Skechers Performance / High Performance West 32:02.00 32:02.00 Finished 3rd at USAs in 2013, but didn’t have standard. Good half in April, but only 16:01 5K on June 12th. Chelsea Sodaro Saucony 32:05.84 No Mark No outdoor races in 2016 and raced infrequently in 2015. Natosha Rogers New Balance 32:06.82 32:06.82 2012 NCAA champ. Finished 2nd at the 2012 Trials, but didn’t have the standard. Rochelle Kanuho HOKA ONE ONE NAZ Elite 32:08.76 No Mark 15:27 sb in 5000. Stephanie Bruce Oiselle / HOKA ONE ONE NAZ Elite 32:14.42 32:14.42 Runner-up at US 15k only ran 15:58 on June 23, let’s hope that was a pace workout. Sarah Pagano Boston Athletic Association 32:16.03 32:16.03 Missed Olympic standard by 1.03. There may be no bigger lock in these Trials than Molly Huddle making the U.S. team at 10,000 meters. 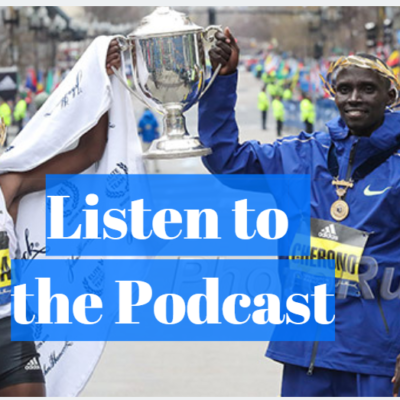 Huddle has been America’s finest long-distance runner on the track for the past several years and she’s already proved herself to be in terrific shape in 2016. 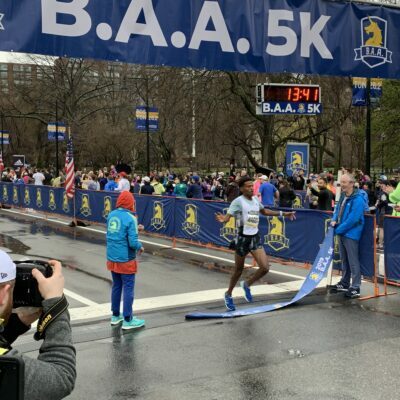 She ran 14:57 for 5,000 indoors in February, cranked out a 67:41 pb to win her second straight NYC Half Marathon in March and won her third straight B.A.A. 5K (15:14) on the roads in April. She’s only raced once this year outdoors, but her time (14:48 for 5,000 at Pre) has been bettered by just three Americans ever: drug cheat Regina Jacobs, Shalane Flanagan (most recently in 2011) and Huddle herself. Huddle is more than willing to lead, content to grind her opponents into submission. And considering that her pb (30:47) is 50 seconds faster than anyone else in this field, she will likely do just that on Saturday morning and earn her second straight U.S. title. 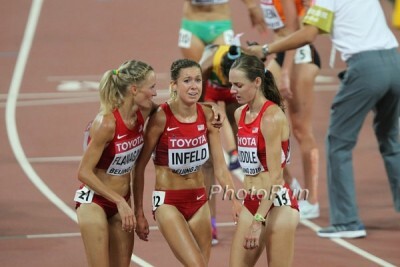 The only woman in this field who has shown an ability to stick with Huddle is the Bowerman Track Club’s Emily Infeld. Last year, Infeld finished three seconds behind Huddle at USAs before turning the tables and sneaking past her at the line in Beijing to claim an unlikely bronze medal. And when Huddle ran her 14:57 at Millrose this year, Infeld was right on her most of the race, finishing one place behind in 15:00. Unfortunately for Infeld, the injury bug that bit her during the first few years of her pro career returned after that race. She wasn’t feeling great heading into USA Indoors (where she wound up 10th in the 3k) and afterwards Infeld was diagnosed with yet another stress fracture (her third in the past three years), according to her coach Jerry Schumacher. Infeld resumed training in late April, but is that enough time for her to be competitive at the Trials? Considering her talent and fitness level earlier this year, probably. But Infeld is not the lock she would have been had she enjoyed an injury-free buildup. 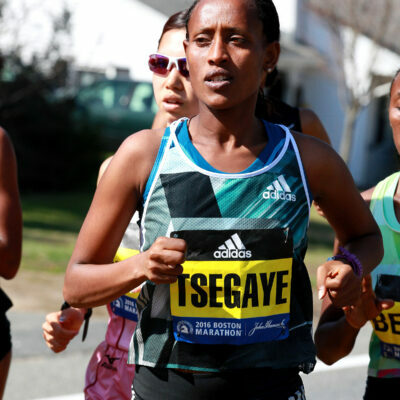 There are a bunch more sub-32:00 women who will be in the hunt for the Olympic spots. Fastest among them is Marielle Hall, last year’s runner-up at 5,000, who has upped her volume this year and was rewarded with a U.S. leader of 31:37 in her 10,000 debut at Payton Jordan. We don’t know Hall’s full potential at 10,000, but she’s clearly fit, as she PR’d at 5,000 at Millrose (15:06) and looked good running 15:13 at the adidas Boost Boston Games on June 17. Kim Conley missed last year’s track season due to injury, but her last three U.S. championships have gone well: she won the 10k in 2014 and made the 5,000 team in 2012 and 2013. Her results so far this year have been promising as well as she’s run 15:12 or better three times, won the Portland Track Festival 5k and ran a speedy 4:09 for 1500. Conley’s blend of strength, speed and experience make her a serious threat to earn her second Olympic bid. Included in this category are Kellyn Taylor (6th at Marathon Trials, 31:40 at Payton Jordan), Laura Thweatt (2:28 for 7th at NYC Marathon in ’15, 31:52 FTW at Stanford Invite), Aliphine Tuliamuk-Bolton (US 25k champ, 2nd at NY Mini 10k, 31:54 at Stanford Invite) and Tara Welling (formerly Erdmann; US 15k and half marathon champion). All have been in good form of late, and Thweatt (15:04 pb) and Welling (3rd at USAs in ’13) in particular have done some pretty impressive things on the track. But none of them have done anything to prove their chances are better than track specialists Hall and Conley, both of whom offer better closing speed. 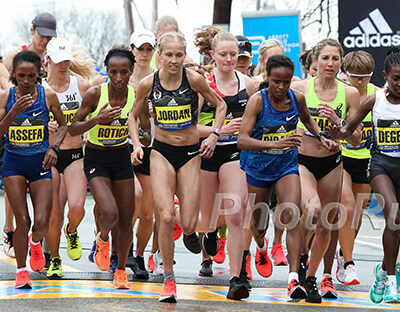 This group includes Jordan Hasay (2nd at USAs in ’13 and ’14, missed most of ’15 due to injury), Emily Sisson (’15 NCAA champ at 5k indoors and out) and, if you’re really feeling optimistic, Natosha Rogers, who was second in this race four years ago but largely disappeared until her rebirth under Steve Magness this year. None of these women have run anything that jumps off the page in 2016 (15:29/31:58 for Hasay, 15:24 for Sisson, 15:28 and 32:06 for Rogers) but all three are trending in the right direction and could be in contention if they pop a big one in Eugene. One final woman worth noting that doesn’t fit in either of the above groups is Liz Costello. The Princeton alum, now training under Mark Coogan in Boston, has run PRs in the mile (4:36), 3k (9:01), 5k (15:28), 10k (31:43) and half marathon (72:35) this year, with the 10k being her best distance (she was 7th at USAs last year). 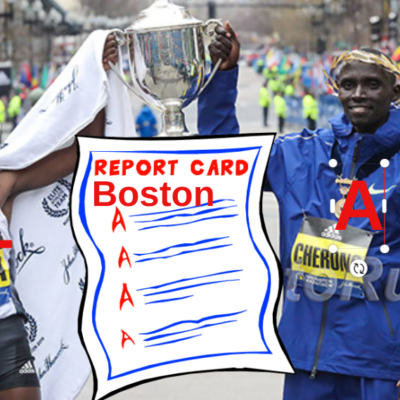 LRC prediction: Huddle should have no problem winning this race; the question is who takes second and third? We think it comes down to Hall, Conley, Infeld and perhaps Taylor. Taylor has run well on the track in the past (she was 7th and 5th at USAs the past two years in the 5k) but in terms of track pbs she is slightly outclassed by the others in that group, all of whom have run significantly faster than Taylor’s 15:21 5k PR. Infeld has the highest ceiling but she also has the lowest floor; that’s what happens when you make your season debut in the Olympic Trials final. Hall has looked good this year and Conley has a history of rising to the big occasion (she also beat Hall in the 5k at Pre, 15:10 to 15:20). We’ll go 1) Huddle, 2) Infeld and 3) Conley as your U.S. team, but if Infeld’s not 100%, Hall is the best bet to take her place in Rio. Actually, let us change that pick. Hall has PR’d at 1500, 3000 and 5000 this year. Her pbs at 5000 and 10,000 are better than Conley’s and she is younger than Conley. Hall for third. Conley for fourth. Conley still may make the Olympics though as Hall may opt just for the 5000 if she makes it in both events. Please make sure you enter our prediction contest: LRC $200,016 LRC Running Warehouse Trials Prediction Contest is Here!